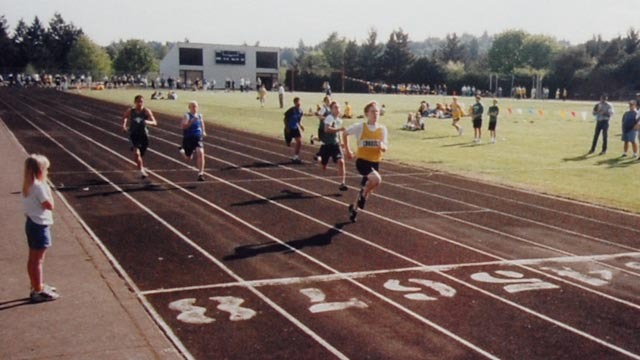 If you consider the great moments of track and field history, you might overlook the world’s most exciting event--dare I say--the most spirited event of all: middle school 4 x 100 meter relays. For sheer entertainment, nothing beats it; you simply can’t predict what will happen! Six years ago, our Zachary ran on a relay team with an amazing little troop of young athletes. In fact, they still hold the Crossler school record. Their starter was strong; their passers, fluid and seamless. If they found themselves slightly behind on the last leg, their anchor powered his way past his opponents. They almost always won. Perhaps that is why we were so shocked by one particular race, an event that still amuses us by its absurdity. Nobody on the team knows exactly what happened. 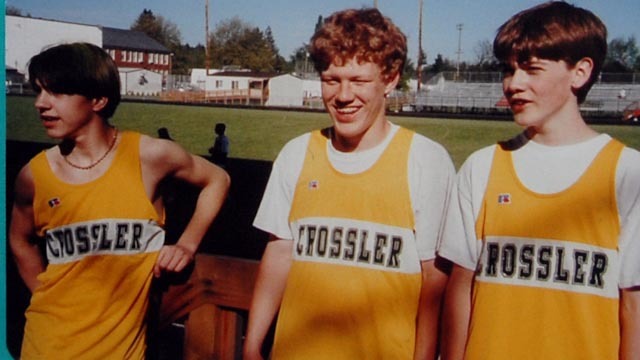 Sure, they like to blame coaches and announcers and scheduling, but the fact is the Crossler relay team simply wasn’t ready. Spectators didn’t sense the disaster until a flurry of mass confusion at the first hand-off. What was wrong? At the second hand-off, we could read the body language. “Where is IT?” “I don’t have IT--just GO! ” Arms flung wildly forward, with more chaos on the next exchange. Zach, the anchor, somehow crossed the finish line first. Without the baton. The race was actually over before it started. They’d tried to run the race without the baton. Instant disqualification. Six years later our other boy, Taylor, runs the middle school relay. His team lacks the polish of Zach’s, but they have raw gifts, wild speed, and determination for their group mission. At their first meet last week, Griff stumbled out of the blocks, slightly injuring his knee. Taylor, unaccustomed to the second leg, bobbled his hand-offs. Judson’s team ran neck and neck with Crossler around the final corner. Our anchor, Josh, grabbed the baton and flew down the stretch. Judson dropped their baton. The race was already over. God must take pleasure in the relay, a race about cooperation, grace and talent. In the relay, the nearly invisible baton matters more than anything else. At church we’re studying the power of the Spirit, and I couldn’t get middle school relays out of my mind as I read Phil 3:12-14 in this week’s lesson. How we are to move beyond our mistakes, press on toward the goal to win the prize, the promise of eternal life. The Holy Spirit and the short baton can be tough to recognize, but our bodies reflect their power. We have rough starts out of the blocks. Our exchanges often wobble. We get hurt. We push to the finish line. Despite our unlovely run, God grants us the prize of eternal life if we carry the baton at the end of our race. He honors our grasp. He qualifies us.